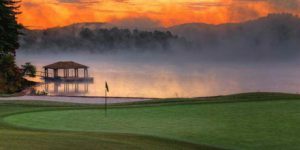 July 1, 2017 — With its rolling green hills, towering pine trees, clear lakes, and breathtaking scenery, East Texas boasts some of the state’s best golf courses. And many of them are open to the public! "I lived at Roadrunner Acres for eight months. It's an outstanding RV park with a laundromat and clean shower for residents to use. I especially like the security gate because I often work out of town. The owners, Kent and Judy, are friendly and are always working on things to improve the park for their residents."